At St. Catharines Chiropractic & Health Centre, we want to see you and your loved ones healthy and happy. With so many local St. Catharines activities and events, there’s plenty of ways for you and your family to stay healthy and active. If you’re looking for a local health facility, there are many choices with different utilities and at different price points to choose from. This family-centered center is a great facility at a fair price for you and your family. The YMCA has been a part of the community for years, with over 100,000 square feet. They offer a variety of memberships for you that are very flexible. This facility offers a little bit of everything and is priced fairly. This newer St. Catharines fitness facility has been around for just a few years and those that go there, love it. These two gyms focus on body-building and are very popular amongst the community. This highly appointed, 5-star facility has many classes and something for everyone. With a higher price point, this luxury facility truly has it all. 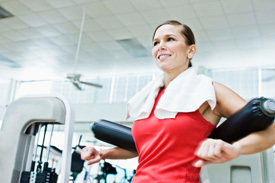 With so many options, you’re sure to find the perfect fitness facility. Remember, your health is one of your greatest investments!